TREATY The President of Romania Klaus Iohannis will take part on Tuesday in Aachen, western Germany, in a ceremony in which France and Germany sign their renewed treaty of friendship and co-operation. Klaus Iohannis was invited by Chancellor Angela Merkel and President Emmanuel Macron. On this occasion, Klaus Iohannis, as president of the country holding the rotating presidency of the Council of the EU, will give an address. Also taking part in the ceremony will be the head of the European Council Donald Tusk, and of the European Commission, Jean-Claude Juncker. The Aachen bilateral treaty is based on the 1963 Treaty of Paris, which paved the way for the reconciliation of Germany and France, and aims to adapt the relations between the 2 countries to the challenges of the 21st century, with a focus on enhancing European cohesion. BRUSSELS Most Romanian ministers are in Brussels until Wednesday. They will present the agenda and priorities of the Romanian presidency of the Council of the European Union in their respective fields, to the specialised committees of the European Parliament. During his hearing by the Committee on Economic and Monetary Affairs, the Finance Minister Eugen Teodorovici said, among other things, that finalising the establishment of the Economic and Monetary Union is essential. Another priority is to promote the Banking Union, given the need for a safe and solid European financial sector. In the Committee on Environment, Public Health and Food Safety, the Romanian Minister for Water and Forestry Ioan Deneş, and the Minister for Environment and Climate Change Graţiela Gavrilescu said that Romania’s priorities in the field include fighting climate change, protecting biodiversity, sustainable development and water management. GAC The Romanian Foreign Minister Teodor Meleşcanu suggested at the meeting of the General Affairs Council held on Monday in Brussels that a special session should be devoted to hybrid warfare and fake news. According to Teodor Meleşcanu, Romania promised that, during its presidency of the Council of the EU, it will come up with a draft roadmap with measures targeting disinformation, responsibilities, means and resources allotted to this goal. The Romanian official pointed out that the EU aims to be a world leader in combating fake news. In Monday’s General Affairs Council meeting, Minister Teodor Meleşcanu presented to his counterparts the main topics on the agenda of the Romanian semester, with a focus on those in the field of foreign policy and security policy. COHESION The cohesion policy is a priority for the Romanian presidency of the Council of the EU, the European Commissioner for regional policy Corina Cretu said in Bucharest on Monday. According to her, cohesion has been one of the most flexible and innovating policies, which provides answers to the issues and tensions in the Union. Corina Creţu also said that she would like the Romanian presidency to secure an agreement on the multi-annual financial framework as soon as possible, so that the scheduled investments may be implemented starting as early as January 1, 2021. The European Commission took part on Monday in a meeting of the Conference of Parliamentary committees for Union Affairs in the national parliaments of EU member states (COSAC), held in Bucharest as part of the Romanian presidency of the Council of the EU. GOVERNMENT The Prime Minister of Romania, the Social Democrat Viorica Dăncilă, Monday sent to President Klaus Iohannis a letter requesting, for the 3rd time, the appointment of Lia Olguţa Vasilescu as Minister for Regional Development and Public Administration and of Mircea-Gheorghe Drăghici as Transport Minister. The last time Klaus Iohannis rejected the 2 nominations on grounds that their criminal records had not been included in the candidacy files. PM Viorica Dăncilă emphasized in her letter to Klaus Iohannis that the 2, whom she nominated for these posts 2 months ago, are people of unquestionable integrity and experience, capable of holding these positions, particularly since Lia Olguţa Vasilescu was a government member before. Mrs. Dăncilă also mentioned that, in her capacity as Prime Minister, by virtue of the vote of confidence given by Parliament, she has the exclusive right to assess and choose the members of the executive team she is heading. JUDICIARY The Bucharest Court Monday ordered the trial of the merits of a case in which the former state secretary with the Development Ministry, the Social Democrat Sevil Shhaideh, is charged with abuse of office.  Meanwhile, the High Court of Cassation and Justice postponed to February 18 a trial in which the Speaker of the Chamber of Deputies and head of the Social Democratic Party Liviu Dragnea is accused of instigating abuse of office. The court of first instance sentenced him to 3 and a half years in prison for having ordered the fictitious employment of 2 party members by the County Social Assistance and Child Protection Agency, back when he was the head of the Teleorman County Council. The 2 were paid from public money although they apparently worked exclusively for the Social Democratic Party. Liviu Dragnea pleaded not guilty.